Wihan Lubbe is having a breakthrough 4-Day Franchise Series season, as he aims to cement his place in the Lions setup, writes KHALID MOHIDIN. The 25-year-old was phenomenal in the match against the Cobras on Monday, helping the Lions post a solid 300-run total by the end of the first day’s play. 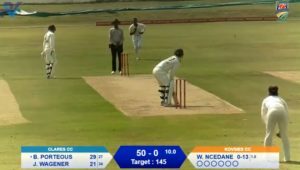 Lubbe entered the action with his side on 42-2 and went on to form two crucial partnerships – 118 with Temba Bavuma followed by 61 with Rassie van der Dussen, with his own contribution being a superb 101 off 181 balls. 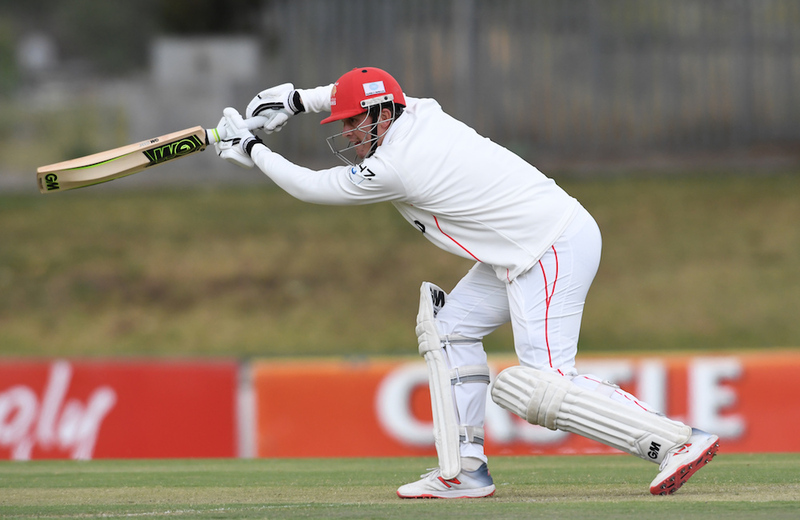 After a tentative start to his innings, Lubbe picked up the pace to smash six sixes and five fours as he recorded his second consecutive century of the season. ‘I’m very happy, I have to admit that there were some tough stages out there. They bowled well in patches this morning,’ Lubbe told SACricketmag.com. ‘Temba and I had to keep each other going for a while there. I just tried to fight through the difficult period knowing that once the ball got older it would pay off later in the game, and it obviously paid off for us. ‘Similarly to last week, having Rassie and Temba there definitely calms you a bit because they have been there, they know what to do and how to go about things. ‘They kept telling me to ride the wave knowing that (the Cobras) would go through a patch of giving away some runs later on. (They) told me I had to fight through that (tough) period where it was difficult and that paid off as well,’ added Lubbe. In three games this season, Lubbe has racked up a total of 353 runs and has earned the nod from his coach and skipper to bat at No 3 in the order. So what has been the difference for him this season? ‘I’m not sure if I have done that much differently. I think maybe I’m a little more relaxed than I was in the past and taking things as they come. ‘In general, I try to focus on the correct things in life, not just cricket, and that has been paying off on the field. ‘This year it has been a lot easier to come into the system. I have been a part of the set-up for a couple of years, so it does make it easier, but the guys are very open.